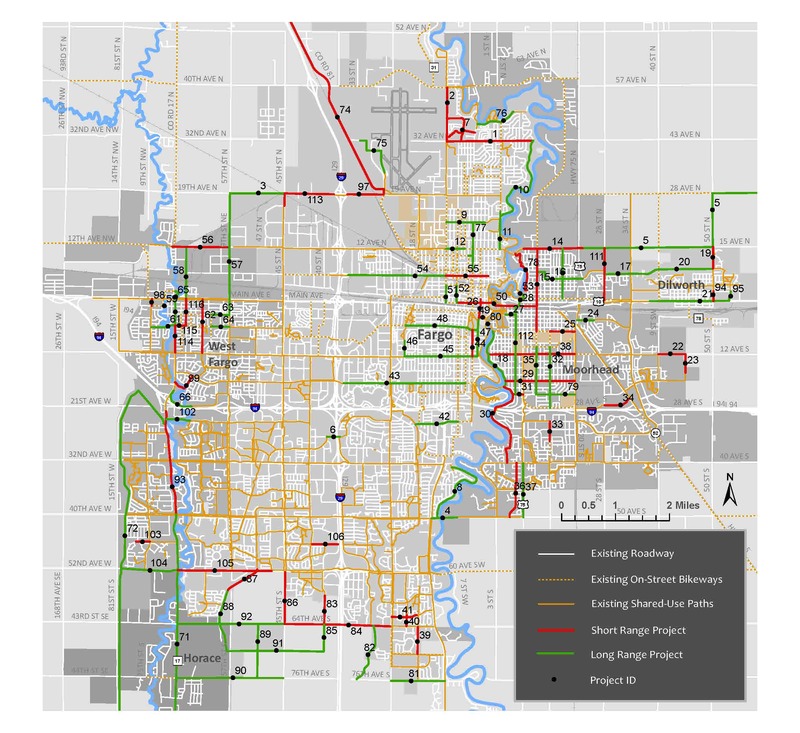 Upon completion of the 2016 Fargo-Moorhead Metro Bicycle & Pedestrian Plan, 119 potential projects were identified to improve connectivity for bicyclists within the area. 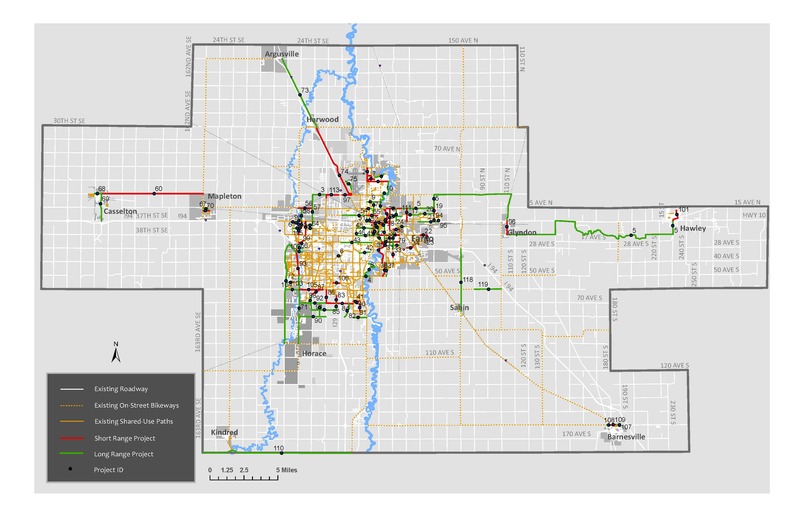 Of the gaps identified in the 2016 Bicycle & Pedestrian Plan, the jurisdictions of West Fargo, Fargo, Moorhead, and Clay County have identified a total of 16 gaps to be thoroughly analyzed as part of this study. Develop planning-level alternatives for closing the gaps, including graphics (sketches and renderings), information about impact to adjacent properties (i.e. will easements or right-of-way be needed, and if so, how much), the extent to which standards can be met, comparison of alternatives, and planning level cost estimates. Once analyzed, the participating local jurisdictions will use the information provided by this study to pursue efforts to fund and implement the gaps. Prepare a report and graphics that provide information and recommendations for resolution of gaps in the bikeway network.